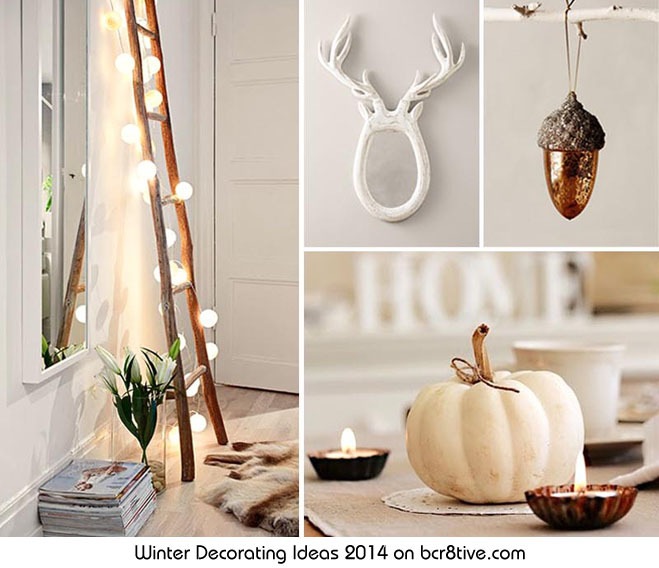 Holiday decorating ideas are more creative than in years past. This holiday, color choices aren’t just the traditional red and green and there are many more decorating options to choose from. There’s renewed appreciation for the hand made touch again. Love! Embroidery is abundant, nature permeates design elements and holiday lighting options take on entirely new dimensions and with a grand buffet of choices. With many of us focused on spending wisely, it makes sense to mix up the old with the new in clever ways. We’re willing to try our hand at some Do-it-yourself ideas and are looking to make more practical purchases. With a few of the right design choices we can create ambiance for Thanksgiving that transitions into the Winter holidays with ease and invigorating glamour. One of the more practical as well as elegant trends for decorating this holiday, is to opt for neutrals and add glints of glimmer and sparkle, with silver, gold, copper and reflective mirror accents. A few strategic decorating items, a warm rug, a glowing curtain, inviting bedding, or eye catching throw pillows, will add a new life and glow to your existing decor. Carry your chosen color theme into adjoining rooms to keep the mood cohesive. Bring the outdoors, in. 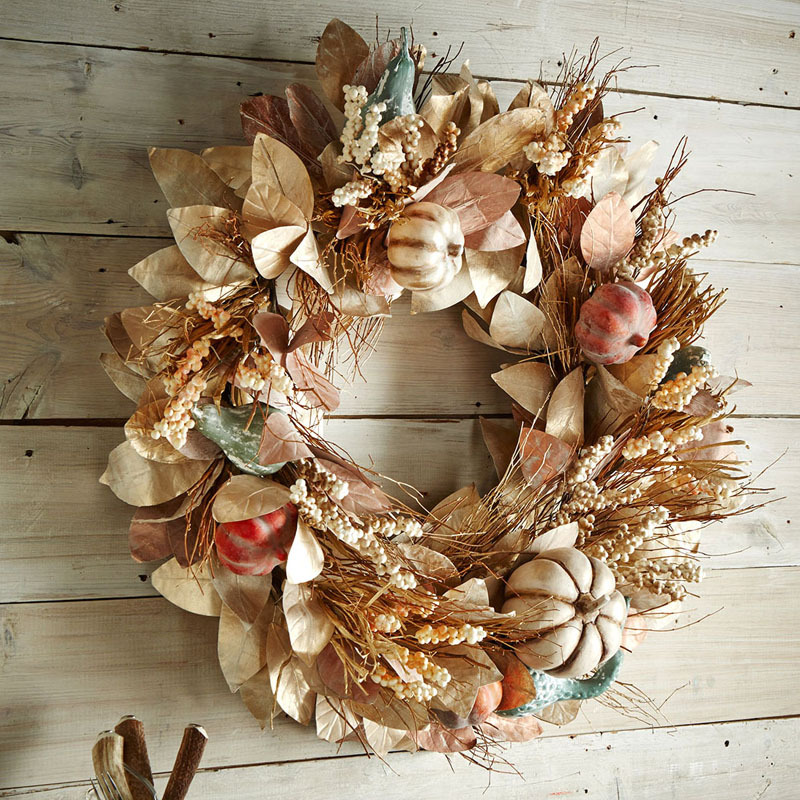 Add wreaths, branches, trees and greenery and decorations made with natural materials or using natures shapes. Think texture and pattern too. Choose botanical type patterns for pillows and comforters or consider a glowing fabric that shimmers like mercury glass. It will glamorize an entire room. 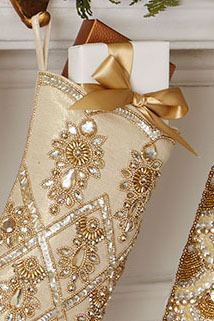 Anything with embroidery or embroidered beading will add a feeling of rich glamour. Choose a thick sweater knit throw with a hand made look to add a timeless feeling to any decorating scheme. 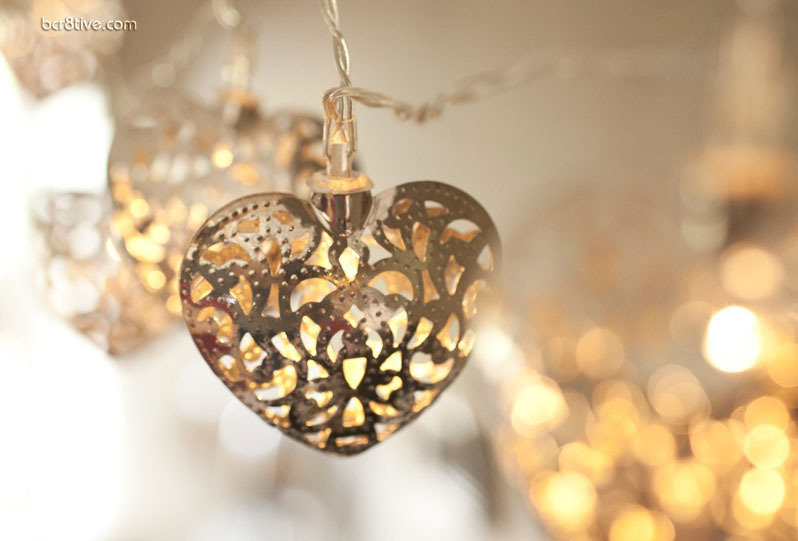 Snowflakes punched out of winter white ceramic lanterns make a strong design statement and will last for many years. A decorative tree made of shells adds a subtle but intriguing texture and it too, will have a long design shelf life. Any of the ideas featured can be inspiration to those inclined to try their hand at hand made versions. A memorable dinnerware choice is found in neutral colors like white, cream or gold trim or accents, and with designs that offer intriguing patterns or textures. They can be used for many occasions but still look like your holiday best. These choices offer flexibility and longevity too. Add color to your table with charger plates, place mats, napkins, and flower arrangements. Holiday lights have come a long way. They come in all sorts of shapes, sizes, colors and even in LED that don’t require being plugged in! The design possibilities become limitless. They’re lighting up branches and making holiday magic in a variety of strings, wreaths and trees. Be adventurous. String them from the ceiling, hang them over a window, a ladder, book shelf, or arrange them inside vases, bowls, or bottles. Decor trees and Christmas trees are sold filled with LED bulbs and will add the romance of light to any room. Last, is entertaining. Enjoying all of this is that much more divine when comfort food is on the plate and a delicious drink is in your glass. Eggnog is one of those Fall foods that many of us look forward to and I found several creative twists on this oldie but goody. Whether you’d like to try your hand at making your own home made eggnog, or would like to try something more memorable that will keep your guests talking – I’m including several eggnog recipes. There is a recipe for bruleed eggnog cheesecake, eggnog macarons, and a yummy moist eggnog bread. There are many ways you can adapt this neutral and glitter version of Winter decorating and entertaining into your Holiday plans this year and hopefully I’ve given you plenty of ideas to think about as well as all of the links you need to shop every item listed here for this holiday. Please Visit the Product Page to Pin the Products Below – Thanks!